We can offer this plot of land located about 300 meter from Mae Ramphueng beach, wheer you will find some of the most popular beach restaurants. This is an up and coming area that is growing in popularity. 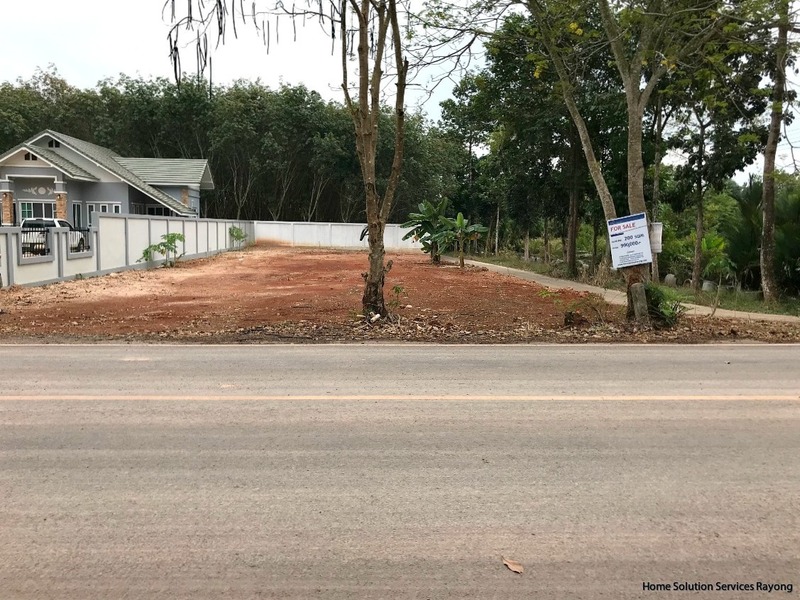 Along the road there are new houses and small projects being built by foreign and Thai families. Location: Close to Ton-Aor On The Beach Resort&Restaurant (Coca Cola Beach). The village Ploy Sawan is located less than 2 km from the land plots. Here you will find small shops and restaurants. Sheraton will build a 5 star resort on the beach in this village. Another resort, Aksorn Rayong is also opening on the beach during 2018. Located 2.7 kms from popular Chakpong beach beach in an area becoming more and more popular. Along the road there are new houses beeing built by foreign and Thai families. The land plot is located less than 2 km from beach road and the village where you find small shops and restaurants. Ownership: Freehold for Thai owners. Location: About 2,4 km from Mae Ramphueng beach. 550 meters from Narai road. Ownership: Freehold for Thai owners, lease hold for foreigners possible. Located in Ban Phe close to Suan Son beach (700 meters) just behind Tesco (540 meters) and Macro (600 meters). Along this road there are new houses being built by foreign and Thai families. Easy access to the whole of Ban Phe area. 320 m² land located only 160 meters from Mae Ramphueng beach! Do you want to live close to the beach? 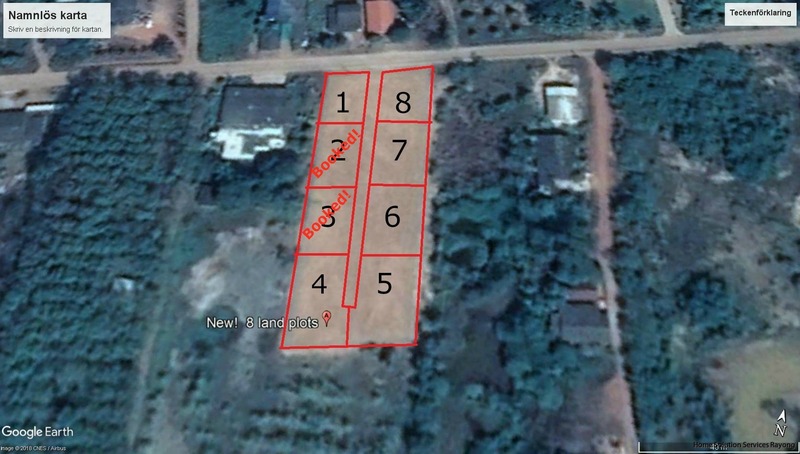 This land is located only 160 meters from Mae Ramphueng beach. Its located within the project Eka Nek. Eka Nek offer 24/7 security and also a swimming pool. There is a restaurant (The White House) located only 50 meters from the land. Water and and electric can be connected. 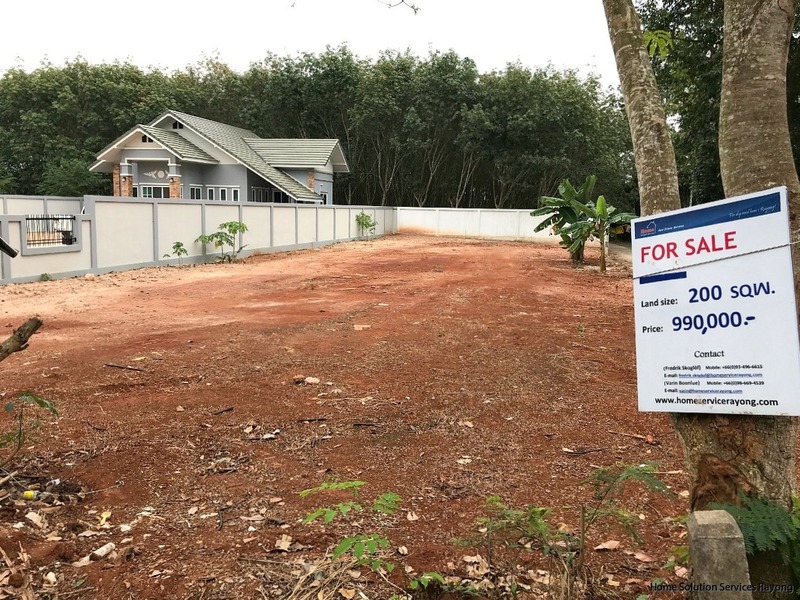 Possible to find construction company working in Eka Nek for the construction of a new house. Ownership: Freehold for Thai, lease hold for foreigners possible. Location of Eka Nek and the land plot. See pictures above or click on the link below. Located close (1.4 kms) to popular Mae Ramphueng beach in an area becoming more and more popular. Along the road there are new houses beeing built by foreign and Thai families. The land plot is located less than 300 meters from Narai Rd. where you find small shops and restaurants. Perfect for small project! Or buy and separate land for sale! SIZES FROM 82.2 TALANG WAH (328.8 SQM). PRICES FROM 570,000 THB - 670,000 THB. This is an up and coming area that is growing in popularity. Along the road there are new houses and small projects beeing built by foreign and Thai families. Location: Attractive location close to Coca Cola Beach/ Silver beach. The village Ploy Sawan is located less than 2 km from the land plots. Here you will find small shops and restaurants. Sheraton will build a 5 star resort on the beach in this village. Another resort, Aksorn Rayong is also opening on the beach during 2018. Very good location only 450 meters from Chakpong beach. Close to the main beach and village with small restaurants and shops and markets. 8 kms from Ban Phe. Can connect water and electric. Send us a message if you have questions about any of the land above!